Alaskan Yellow Cedar is a specialty softwood that is distinctly different from other cedars in color, strength and hardness. 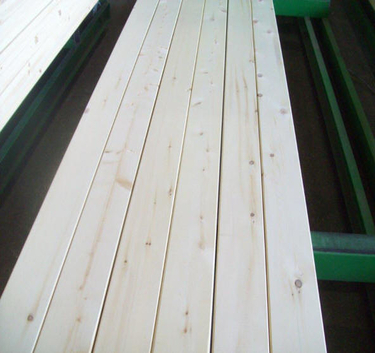 Its yellow color, extreme strength, and dimensional stability have made Alaskan Yellow Cedar a favorite for exterior applications, but it has many interior uses as well. Products manufactured from Alaskan Yellow Cedar include posts, timbers, bridge decking, ship lumber, doors, windows, and pattern stock. Because Alaskan Yellow Cedar is hard, resistant to wear and does not splinter easily, it also makes excellent flooring and has been used for years as stadium seating in outdoor sports facilities. Finally, it is an excellent choice for exterior patio decks. Alaskan Yellow Cedar is a unique softwood that makes it very desirable for applications where beauty, durability, dimensional stability and strength are important. Kiln-dried Alaskan Yellow Cedar offers the following characteristics. • Alaskan Yellow Cedar has a distinctive and uniform yellow color that will weather to silver-gray over time. • It is fine textured and has a straight grain. • Alaskan Yellow Cedar is notable for its durability and longevity. • It is naturally resistant to rot, decay, insect damage and, in saltwater applications, to marine borers. 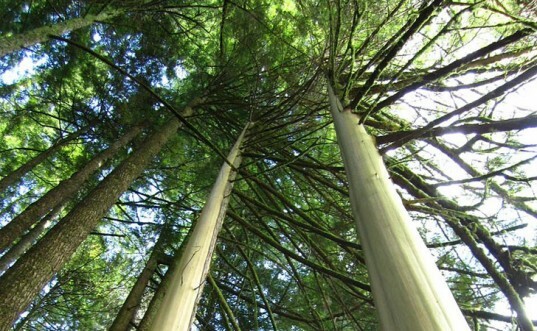 • Alaskan Yellow Cedar is considerably harder than most commercially available softwoods. • It resists splitting and slivering, and is highly resistant to wear. • Kiln-dried Alaskan Yellow Cedar is dimensionally stable. Warp, cup, twist and shrinkage are minimal. • It is easy to cut, rip, mill and sand with regular woodworking tools. • Alaskan Yellow Cedar contains no pitch or resins. 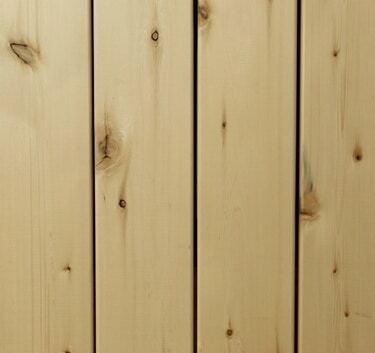 • Alaskan Yellow Cedar is an excellent choice for exterior decks and other outdoor projects. • Alaskan Yellow Cedar; beauty and elegance that will last for years.